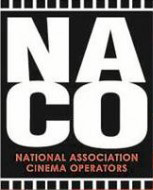 The National Association of Cinema Operators-Australasia (NACO) represents its members in “whole of industry” issues that may confront them from time to time. 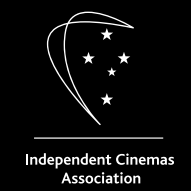 Independent Cinemas Australia (ICA) is the cinemas association of record for Australian independent cinemas with a membership ranging from single screens in rural areas through to metropolitan multiplex circuits. The MPDAA is a non-profit organisation which undertakes the collection of film exhibition information relating to box-office, admissions and admission prices, theatres, release details, censorship classifications, and so forth, in order to provide meaningful statistics on the film industry in Australia to the Members and associated persons, the media and trade publications. The Screen Producers Association of Australia strengthens partnerships that create and take great Australian stories to the world. Design professionals in the Australian film, television, theatre, interactive media and event industries have been without a voice for many years. The APDG has redressed this and is now striving to establish fairer and more productive working relationships in production design and its related industries. The Australian International Documentary Conference (AIDC) is Australia’s premier event for documentary, factual and unscripted screen content.